Lands' End Puts the Twelve Most Instagrammable Holiday Gifts into Focus | Lands' End, Inc.
DODGEVILLE, Wis., Nov. 23, 2018 /PRNewswire/ -- Social media feeds are about to be filled with visions of holiday gifts and merry memories with friends and family. Today, Lands' End is unveiling the 12 Most Instagrammable Gifts of 2018 that will make for not only great gift ideas but will inspire the most stylish social media pictures sure to garner all those "Where did you get that?" comments from followers. Lands' End will feature a social-friendly gift each hour starting at 9:00 a.m. ET on the company's Instagram account @LandsEnd. Family and lifestyle influencers will partner with Lands' End to join in the fun and provide examples and inspiration on how to style and photograph gifts for sharing those special holiday memories on social media. "Lands' End is known for offering thoughtful, personalized gifts, and we all know someone who is always looking to inspire their followers with that picture perfect social media photo," said Matt Trainor, senior vice president of brand creative, Lands' End. "We are making social-savvy shoppers' holidays easier this year with our list of most instagrammable gifts." 1. 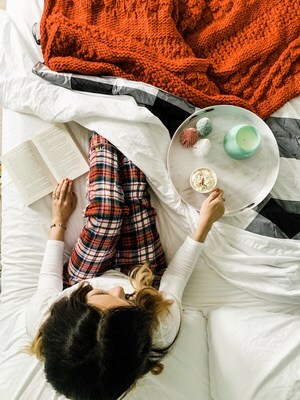 Perfectly Posed in Plaid: The Family Buffalo Plaid Pajamas are a cozy gift for the whole family. Available in sizes for every member of the family, the snuggle-worthy flannel sleepwear in a trendy print can help every family take a perfectly coordinated family photo in front of a colorful Christmas tree. 2. Seasonal Stocking Snaps: Lands' End'sNeedlepoint Christmas Stocking, 100% wool and available in 14 different handmade designs to suit any holiday décor, makes for a gift to last a lifetime and inspire new family traditions. 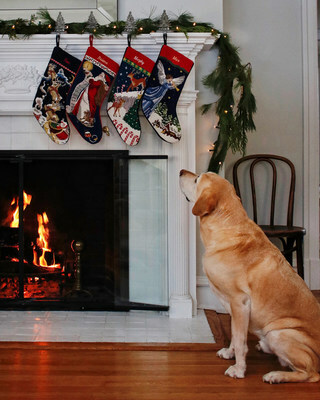 After being gifted these festive and personalized stockings, take a snap of them along the mantel for a traditional holiday memory. 3. Giftable Graphic Tees: To help shoppers outfit every kid on their holiday list, Lands' Ends Graphic Tees for Girls and Boys offers pops of style and colorful designs sure to be a crowd pleaser. Dress up nieces and nephews in these tees featuring science themes, animal graphics, and say "Cheese!" 4. Practically Printed: Lands' End is home to the iconic Open Top Canvas Tote Bag and the Printed Canvas Tote is a gift that can be used all year round. Create an Insta-fame worthy and thoughtful gift basket out of this printed tote by filling it with homemade baked goods and a cozy throw blanket. 5. Merry Men: The Men's Bedford Rib Printed Half Zip Mock Pullover can be personalized with a monogram to create a one-of-a-kind gift for any man. This 100% combed cotton pullover can be worn around the holidays and beyond. Pair with khakis or jeans to take that perfect, handsome profile photo. 6. Create a Cozy Christmas: The plush and soft Chenille Sherpa Throw adds a soft touch and amazing texture to any home, or Instagram photo, and is the perfect addition to chilly winter nights spent at home. Just add a mug of hot chocolate and a book for that perfect, cozy snapshot. @PalmBeachLately snuggled up for a pretty picture. 7. Warm 'Em Up: Give the gift of warmth in the colder months with Lands' End'sDown Coats. Take the 'Gram on the road! Test these coats out at tree lighting events or on a snowy hike for that perfect outdoor festive photograph. 8. Photographic Fleece: Every kid needs a soft and snuggly set of pajamas. The Kids' Fleece Sleep Sets for both Girls and Boys offer playful prints with anti-pilling fabric complete with reinforced seams so they will be sure to last a long time. Then just add popcorn, a jolly movie, and big smiles for an adorable Instagram story about a holiday-themed family night. 9. Seasonal Sweaters: The lady on any list will love a festive themed sweater that helps ring in the holidays. Lands' End'sWomen's Supima Cotton Christmas Sweater comes in different festive knit designs and colors with shape-keeping rib-knit trim. Add a strand of colorful holiday lights or a silly Santa hat to create a cute and cheerful selfie. 10. Yuletide Bedding: Gift anyone the Sheet That Fits™ to create a comfy and chic bedroom with a Flannel Sheet Set or Flannel Heather Sheet Set. These soft sheets add style and resist pilling to last longer. Take the perfect décor-centered Insta-photo by adding these warm wonders to any bedding. 11. Celebratory CashTouch: Gift a personalized and practical winter accessory with the Plaid CashTouch Scarf. These colorful scarves offer lightweight warmth and cashmere-like luxury to any cold-weather outfit and add a bubbly touch to every candid Christmas snapshot. 12. Snuggly Sherpa Slippers: Keep everyone on the holiday shopping list warm with Lands' End's Sherpa Slippers available for women, kids, and men. These slippers have heat-trapping fleece and rubber outsoles. Take the adorably obligatory group snap of everyone's slipper-clad feet in a circle for a snap sure to garner all the sweet emojis. All Lands' End items, including personalized items, are Guaranteed. Period.® If you're not satisfied with any item, simply return the item at any time for an exchange or refund of its purchase price. To light up the social media "likes," shoppers can purchase the 12 Most Instagrammable Gifts today, Friday, November 23rd for 50 percent off full price styles at landsend.com. Oh, and don't forget to tag #mylandsend to share the festive spirit. Lands' End, Inc. (NASDAQ: LE) is a leading multi-channel retailer of clothing, accessories, footwear and home products. We offer products through catalogs, online at www.landsend.com and affiliated specialty and international websites, and through retail locations. We are a classic American lifestyle brand with a passion for quality, legendary service and real value, and seek to deliver timeless style for men, women, kids and the home.